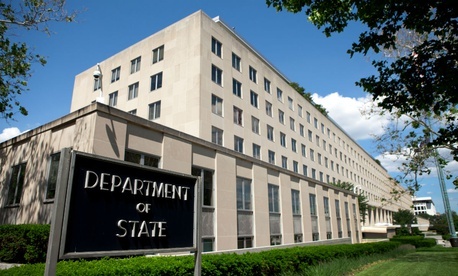 Political appointees at the State Department targeted career employees for their work during the Obama administration and discussed “cleaning” out civil servants not sufficiently supportive of the Trump administration, according to internal documents released by congressional Democrats. Julia Haller, the White House liaison to State, reportedly noted Nowrouzzadeh’s Iranian heritage and said “my understanding is she cried when the president won.” Nowrouzzadeh was removed from her detail with Policy Planning Staff three months early, in violation of a memorandum of understanding, she said. Cummings and Engel characterized the communications as “extensive, blunt and inappropriate.” They called the documents “extremely disturbing” and, if accurate, confirmed “many reports” of political attacks on career employees at State. Government Executive reported in January that the department’s inspector general is currently “looking into” allegations of political targeting and other prohibited personnel practices. The State and White House officials “appear to have targeted these staffers despite being fully aware that they were career civil service employees and despite the career employees expressing willingness to support the policy priorities of the Trump administration,” Cummings and Engel wrote. “I hear Tillerson actually has been reasonably good on stuff like this and cleaning house, but there are so many that it boggles the mind,” Gingrich reportedly said. Cummings and Engel requested from State all documents and communications related to any proposed reassignment of career employees at the department, as well as the removal of any employee based on political beliefs or prior service. They requested transcribed interviews with Hook, Haller and six additional State and White House officials. At a press briefing Thursdsay, Heather Nauert, the acting undersecretary for public diplomacy and public affairs, said the department received the letter and takes "those types of communications very seriously." She said State will comply with Congress' request, but had not further information. She added she has found her career civil servant and foreign service colleagues "extremely professional" and "almost blind to politics." Nauert said the letter was the first that she personally had heard of political appointees potentially targeting career workers. This story has been updated with comment from the State Department.